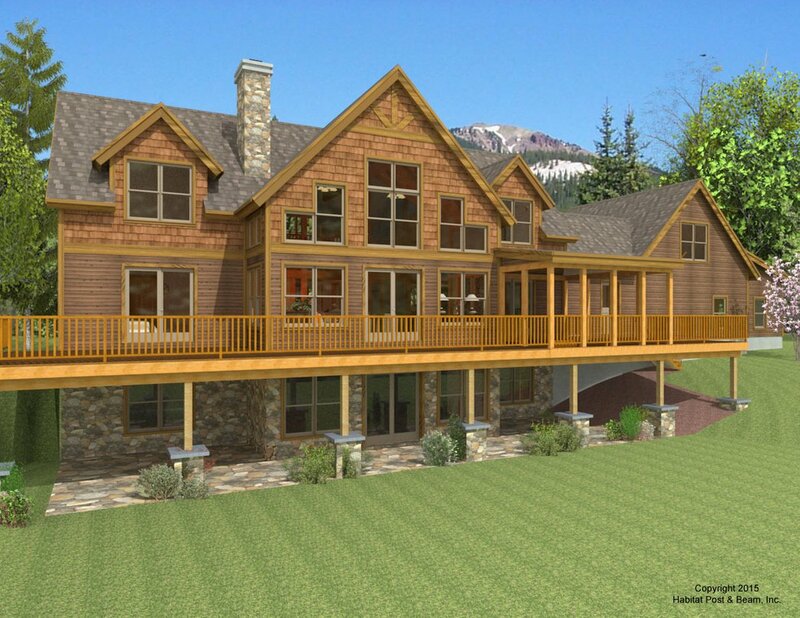 This custom home very nearly resembles our Moutain View Lodge plan. 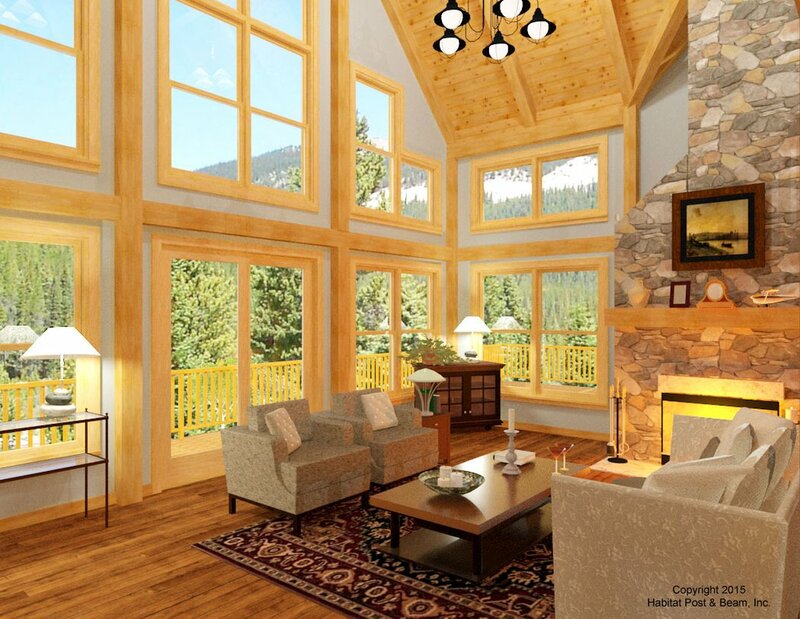 It's main entry opens up the the living room with a large cathedral ceiling and gable wall full of windows. In one of the main level wings sits the master bedroom, and in the other the kitchen and dining room. A 3 car garage and mudroom come directly off of the kitchen. The upper level is home to 3 bedrooms, a shared bath and a spacious loft over looking the living room. Package Price: $246,500 as specified below (from $214,500 to $273,500 depending on framing options). The standard price includes our Full Exposure Wall System, Plaster and Beam or Beamed Mid-Floor System (same package price), our Beamed Roof System over the center section, and our Plaster and Accent Beam Roof System over the bedroom wings. The entry porch is our Beamed Porch System, while the screen porch is our Liner Porch System with a flat ceiling. The walkout level (daylight basement), garage, and connector are not included in the above pricing.